Although The Royal Maundy Service at Blackburn Cathedral on April 17 is a private, ticketed event, to honour 88 men and 88 women from the county, there will be lots of opportunities for the wider community to get involved. The Cathedral is working closely with the Council, police and other local agencies, as well as The Royal Almonry in London, to ensure the event runs as smoothly as possible. Community groups, businesses, schools and families are now being encouraged to help build the excitement ahead of the big day. A full programme of Royal themed activities is planned, with Blackburn with Darwen Council working with businesses and groups. This will include family attractions on Maundy Thursday as part of the normal Easter programme of events. The Royal party is due to arrive at Blackburn Railway Station at approximately 10.45am where they will be driven slowly down Church Street to the Cathedral for the historic service. Arrangements are being made to ensure anybody who wants to help welcome them can do this safely. In keeping with the wishes of The Queen it will be business as usual with very little disruption in the town. Following the service, in keeping with Royal Maundy tradition, The Queen and the Duke of Edinburgh are due to spend time with religious and civic dignitaries. This will take place at Blackburn Rovers Football Club. Because the main focus of the day is the town centre, there will be very limited opportunity to see The Queen here. 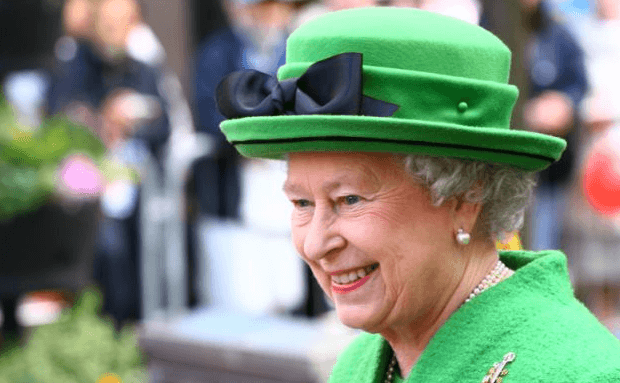 Councillor Kate Hollern, leader of Blackburn with Darwen Council, said: “We are lucky to have The Queen coming to Blackburn Cathedral and happy to support on all the preparations for this special occasion. It’s also right that we put effort into making it as big a community celebration as possible. “It’s going to be a happy and memorable day which will go down in history. In true Blackburn spirit the community is stepping up to make sure we have the town looking as good as possible for all the visitors. Excitement is building at the Cathedral itself as preparations continue. There is a real buzz about the place according to Director of Music, Samuel Hudson. Much of the organisation in relation to the service operates likes clockwork, having been done countless times over the years. The main element that is different each time is the location, so appropriate orientation meetings have taken place with key people to ensure a bespoke Maundy Service for Blackburn Cathedral. Canon Andrew Hindley who is coordinating the cathedral arrangements locally said: “Our preparations for this historic service are now moving in the final stages. “The music and hymns have been chosen, and the cathedral is being made ready over the next few weeks. The Director of Music at Blackburn Cathedral, Samuel Hudson, added: “For the majority of us who will be performing at the service this is our first Royal occasion, and certainly the first involving HM The Queen. “For that reason alone there is a real buzz about the place and everyone is really looking forward to the event. “It is also an opportunity for us to collaborate with the Chapel Royal choir who will be represented on the day by 10 choristers and six men.